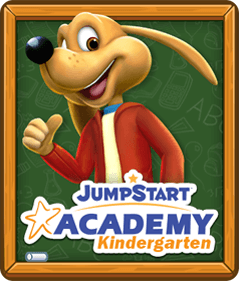 JumpStart Games is the leader in learning-based games for kids. Since 1991, JumpStart Games has set the standard in kids’ educational games by making learning genuinely fun. 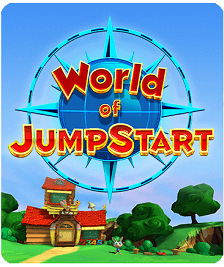 JumpStart Games produces creative, educational mobile and multiplayer online games under its flagship brands - JumpStart®, Math Blaster® and School of Dragons® - as well as with partners such as DreamWorks Animation. Over its 20-year history JumpStart has remained dedicated to producing high quality learning-based products, earning the trust of millions of teachers, parents, and respected organizations such as Common Sense Media and the National Parenting Center. Formerly owned by Knowledge Holding, Inc., JumpStart Games is now a wholly owned subsidiary of NetDragon, a global leader in building internet communities. JumpStart Games is based in Gardena, California. 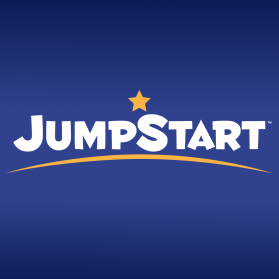 The JumpStart® brand is trusted by over 30 million parents and has been the leader of educational software market for over 20 years. This internationally renowned brand expanded into the online gaming market with the launch of JumpStart.com in March 2009. 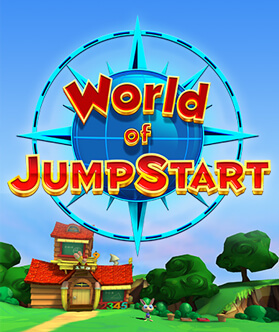 JumpStart.com is a groundbreaking evolution in children’s learning, as it is one of the first learning games delivered in a browser with high-quality 3d graphics and advanced gameplay. The site is a completely safe and secure online environment, where kids can interact, explore, and learn. 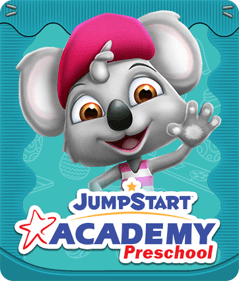 JumpStart.com has quickly become the epicenter of online gaming for the 3-10 year old demographic, producing a variety of successful educational mobile apps including, JumpStart® Preschool Magic of Learning, JumpStart® Pet Rescue. The brand has also produced casual apps like JumpStart® Punk Punk Blitz. Math Blaster® is perhaps one of JumpStart’s most beloved brands, being used in homes and classrooms worldwide for over 15 years. Its launch made the brand an online hub for outer space-based multiplayer online gaming, creating a safe and secure online community. This has earned the brand a place within the KidSAFE® Seal Program, designating Math Blaster as kidSAFE® Certified. Membership to MathBlaster.com extends to include JumpStart.com as well, and just as with JumpStart World, the brand makes learning genuinely fun for children of all ages. In previous years, the brand has also released products onto the Nintendo DS (through a partnership with Majesco Entertainment Company), transitioning the brand into an age-appropriate hand-held platform. 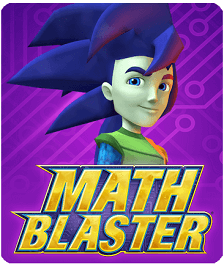 There are also several successful educational mobile apps available related to the Math Blaster Brand, including Math Blaster® Hyperblast 2 HD, Math Blaster® Space Zapper, and Math Blaster® B-Force Blaster. The brand has also produced the casual app called Monster Mutt Rescue. 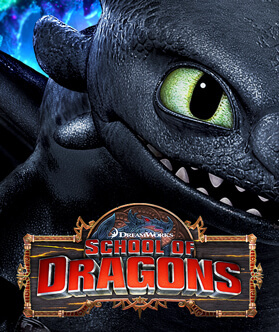 School of Dragons® is a massively multiplayer online role-playing game (MMORPG) based on DreamWorks Animation’s How to Train Your Dragon (HTTYD) franchise. The game first launched on all web browsers in July 2013 and it then became available on iPad on December 2013, pioneering seamless mobile and online gameplay. This game is one of the first in the educational MMORPG space to provide this type of innovative technology — it allows players to progress in their game either on their mobile device, or on their web browser or Facebook. Just as with JumpStart’s existing online MMO properties, School of Dragons is a completely safe and secure online environment for all users. In School of Dragons, players raise and train their own dragon, interact with characters from the HTTYD franchise, and embark upon endless journeys and educational quests alongside their Viking friends in-game. With interactive clans and a whole 3D, immersive world to explore, School of Dragons is the ultimate HTTYD experience for any fan and gamer. 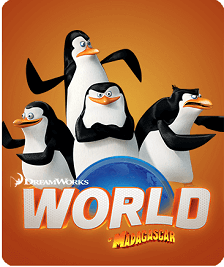 JumpStart and DreamWorks Animation forged a strategic alliance in October 2012 that kicked off with the integration of DreamWorks’ world-renowned Madagascar franchise. The fun characters from the franchise — including Alex the Lion, Marty, Melman, and Gloria — come to life in the JumpStart.com 3D online world, giving young learners the chance to interact with their favorite animated characters as they learn and play. 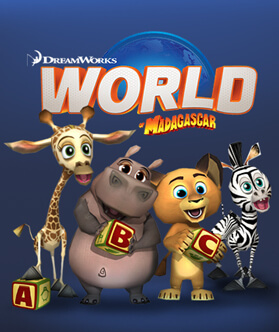 There are a variety of mobile apps available through the Madagascar and JumpStart brand, including Madagascar Preschool Surf N’ Slide, Madagascar: My ABCs, and Madagascar Math Ops. Neopets® is a virtual pet website where users can personalize their pets as they collect, purchase, and trade highly valuable items – all while taking part in numerous games and activities. 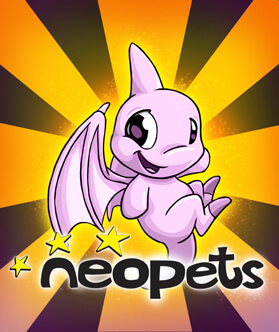 Launched in 1999, Neopets® became part of the JumpStart Games family in April 2014, where the brand continues to amass an internationally extensive and loyal following. As with all other JumpStart products, the brand offers its users a completely safe and secure online community. Neopets® is available in many languages – including Spanish, French, Portuguese, Simplified Chinese, Traditional Chinese, German, and Dutch. Neopets® strives to add new and exciting activities to its collection of over one hundred games and puzzles, including annual events, tournaments, and plots. The brand has also produced a casual app called Ghoulcatchers. 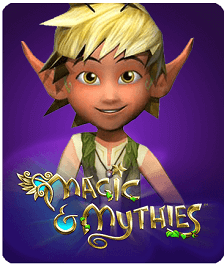 Magic & Mythies® is a massively multiplayer online-role playing game (MMORPG) which follows the high-quality standards set by JumpStart Games, by making learning genuinely fun. 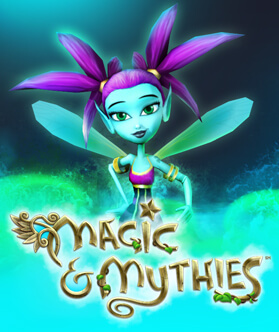 First launched in September 2014, the brand offers users an action-packed journey into a magical world while being exposed to educational quests. The brand provides seamless mobile and online gameplay, allowing users to progress their games either on their mobile device or on their desktop. Magic & Mythies® features closely around ecology and nature, bridging the gap between its 8-12 year-old demographic and JumpStart World’s younger demographic. Just as with all other JumpStart Games products, Magic & Mythies® offers a completely safe and secure online community for all its users. In Magic & Mythies® players can race and explore alongside their friends, create magical potions, and build an everlasting bond with their favorite Mythies. Jumpstart.com is certified by the kidSAFE Seal Program.